Week 47: Taper for Ironman Cozumel – Where's The Tofu? How do I know it’s taper week? I’m sick, full of aches and pains, and antsy for race day! All of that aside, I absolutely can’t wait to get to beautiful Cozumel and spend time with my friends and family. It’s going to be an amazing trip and I’m excited to finish what we all started in Tahoe just 2 short months ago. I’m not sure what the Internet will be like so this will likely be my last post before the race. Thank you all SO much for the encouragement and the kind motivation. It really helped get me to this point! 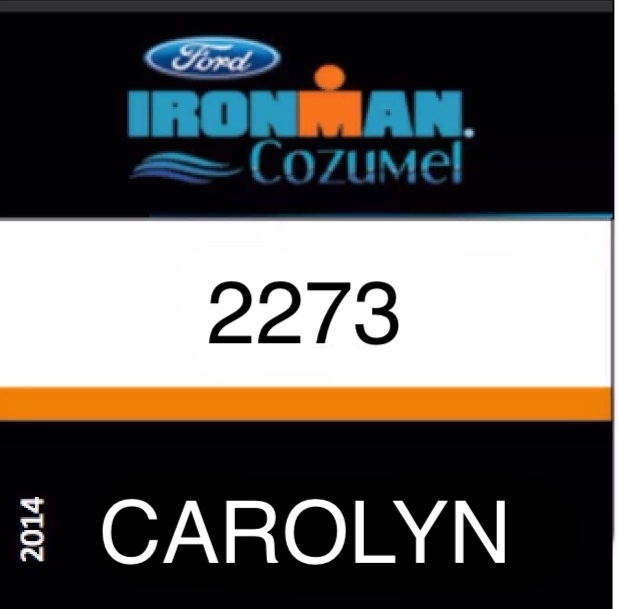 You can track me on Sunday if you want at ironman.com — bib number 2273. Thanks again everyone! 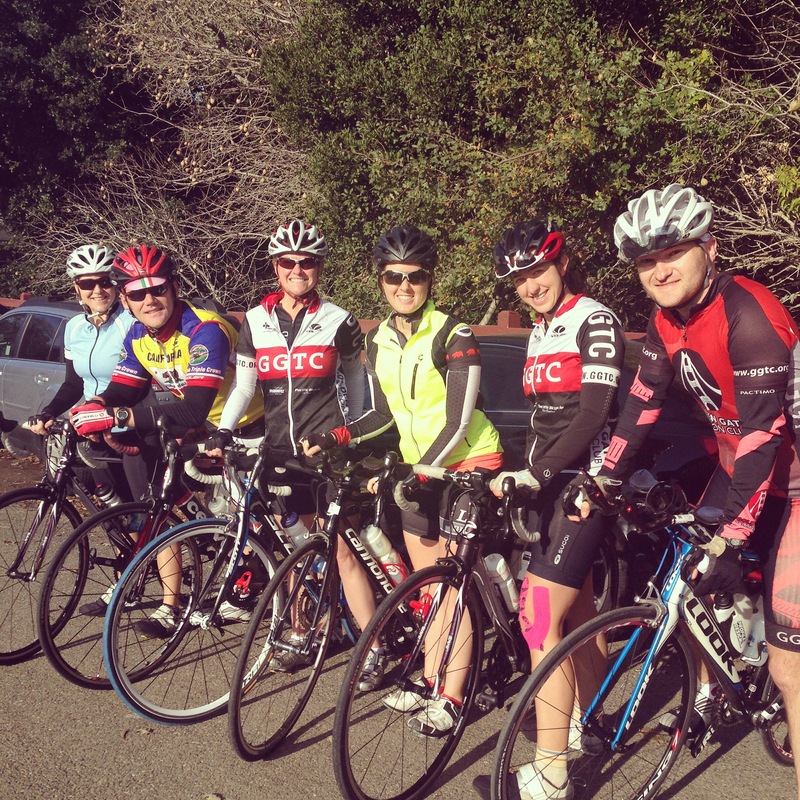 Sunday morning Team Cozumel went out for our final bike ride in SF. 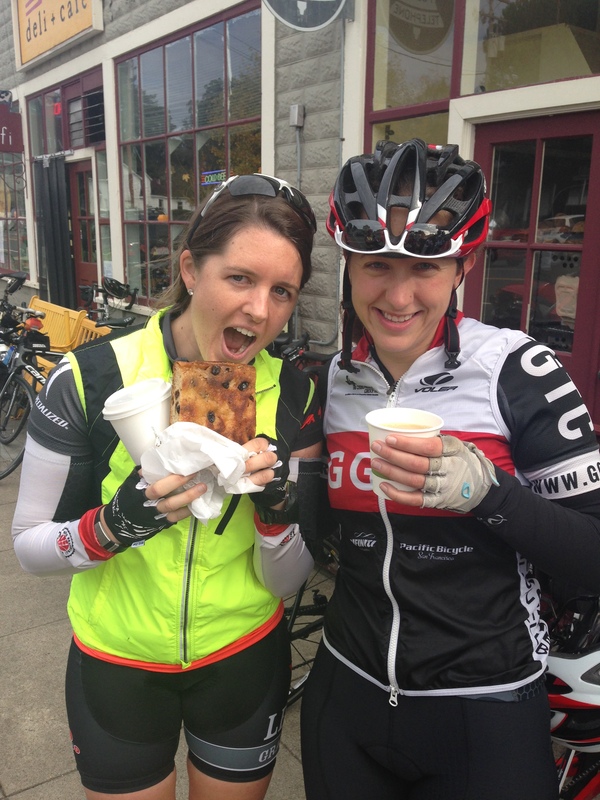 We kept an easy pace for the 50 miles and even stopped at the Tomales Bakery half way through for hot drinks and pastries. I had an i-can’t-believe-it’s-vegan rosemary focaccia loaf with hot apple cider. And I hate to admit this but that extra gluttony actually made me feel SO much better and actually gave me a boost of energy. I really wasn’t expecting that at all! The other thing that was surprising was the temperature. We started the ride in 41-degree (albeit sunny) weather which took most of us by surprise. Luckily a few hill climbs later and we were all warmed up. It ended up being a perfect, crisp day for a bike ride and I loved it! Cycling is my absolute favorite! Saturday I had a 70 min run on my calendar, which, in my new alternative universe is considered an ‘easy’ run. I had to go to Sports Basement that day anyway so I ended up parking at SB, running to Hopper’s Hands and back 3 times in a row, then did my shopping. I liked it because SB has water and bathrooms that I could use on each loop if necessary. I also wanted to do something a little more tedious than a loop or point-to-point just to challenge the brain a little. The run was nice and easy and ended up being a fun puddle-hopping Saturday! Nothing major or overly concerning but I came down with a nasty cold this week and my right shoulder has been hurting for over a week. The cold isn’t fun but I’m taking care of it with healthy food, lots of rest and fluids, and vitamins. I don’t think I’ll be 100% better by Sunday because colds usually linger for 7-10 days for me. But I’m not too worried about it and I’ll just do the best I can on race day. The good thing is that it’s just the usual “above the neck” stuff like sniffling, watery eyes, sneezing, coughing and not chest pains or chills. As for the shoulder, about a week and a half ago I did some drills in the pool and I think I over-did it a bit. Ever since then my shoulder has been in a lot of pain. I’m icing it and have stayed out of the pool but I’m shocked that it still hurts. I think it should be fine for the race and I’ll just manage the pain the best I can. You can track me online at Ironman.com or with the IMTrackr app. We’re 5 days away from the big day and I’m extremely excited for the race and vacation. I’ve been training for Ironman all year and I’m ready to see my hard work pay off. I know I’m ready for this! After Tahoe was cancelled it was hard to get back into training mode in a serious way but I did the best I could to stay focused. I battled motivation highs and lows, aches and pains, and busy work schedules but I was determined to maintain my fitness through Cozumel and have fun along the way. Hopefully on Monday I can say I succeeded! As far as a time goal, it’s really hard to come up with one because I truly just want to finish my first Ironman and there are so many unknowns. But I think a great goal would be 13 hours 30 minutes. And a stretch goal being 13 hours because Travis said he’d defriend me if I didn’t break 13 :-). I could be way off if the winds are treacherous or something goes wrong so we’ll see! I don’t know what’s going to happen on race day but I’ll always go back to the mantra that I learned in my first season of Team in Training: “I overcome adversity”. No matter what comes my way I’ll take it head on, deal with it, and move on. I’ll also adjust my expectations if things don’t go to plan. The key is to keep a positive attitude, smile, and just enjoy the day. I’m ready! Let’s do this! Happy Thanksgiving everyone! Hope you all have a chance to spend time with friends and/or family and eat some delicious food! 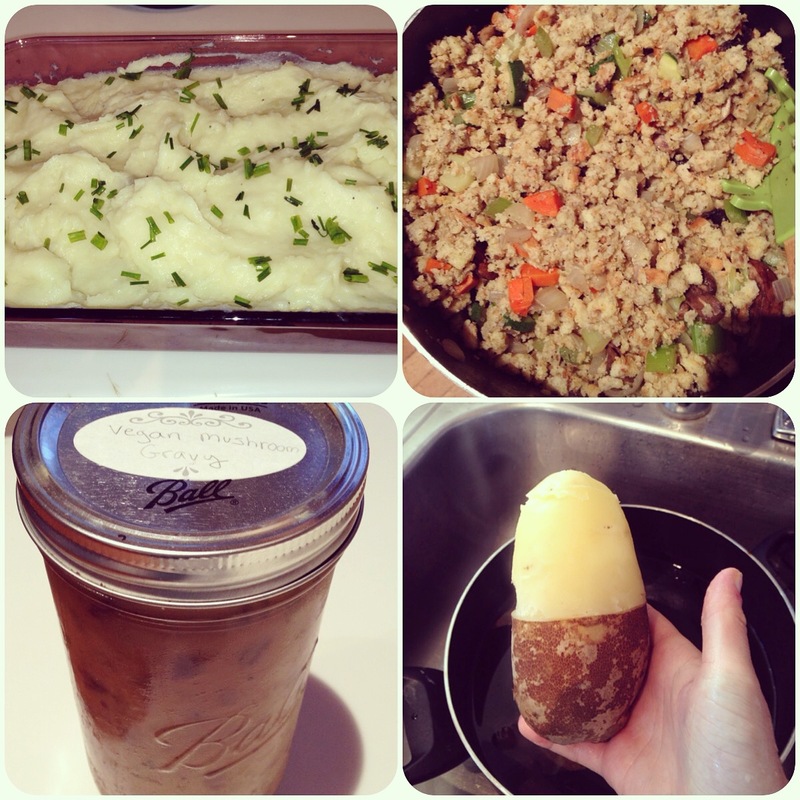 Over the weekend I had so much fun ‘veganizing’ stuffing, mashed potatoes, and gravy for a Friendsgiving party. It was easy, fun, and tasted great! The mashed potatoes were made with garlic, olive oil and soy milk. The stuffing was seasoned wheat bread crumbs and veggies. The gravy was a variety of mushrooms with flour, oil, and spices. Delish! Race Week Dos and Dont’s from Ironman.com. Very helpful reminders as I’m officially in race week! A Day in the Bike Commuting Life. If you commute to work in SF, check this out! Very cool 1 minute time lapse courtesy of Strava. Men of Triathlon Calendar. Support a great cause and hang some good lookin’ triathlete men from your wall! Win-win. Can we do a Men of GGTC, please!? Which Indianapolis Colts Player Eats Plants Only? Yes, you can even be a pro football player and thrive on a plant-based diet. Loved this article! Ironman Cozumel 2013 Video. Want to see a an edited broadcast of last year’s Ironman Cozumel? Check out this video! It’s similar to NBC’s broadcast of Kona. 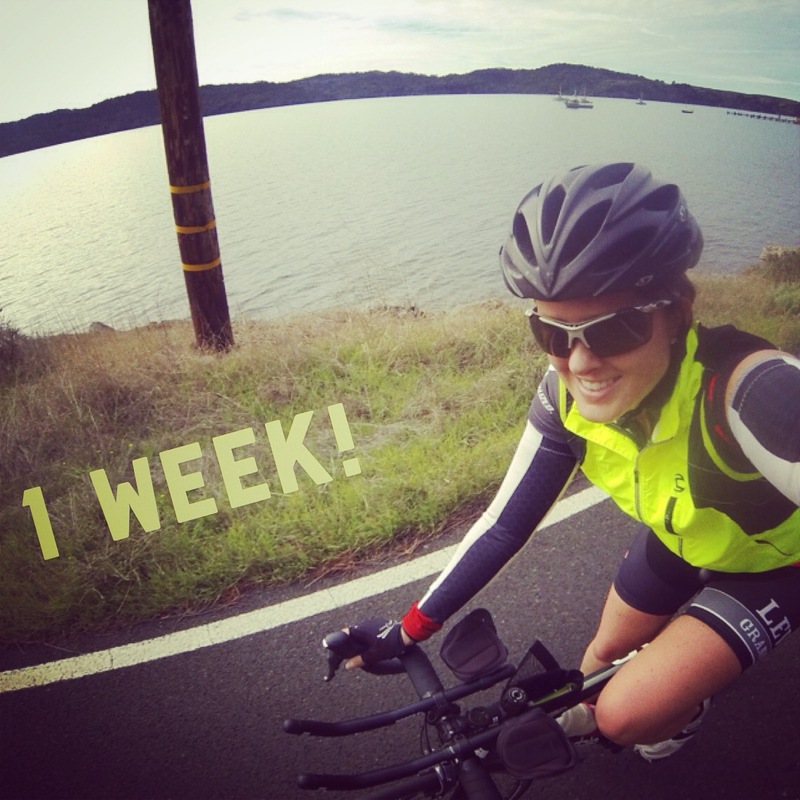 Previous Post Week 46: Pack Your Bags We’re Going to Kona!! Next Post Ironman Cozumel Prep!